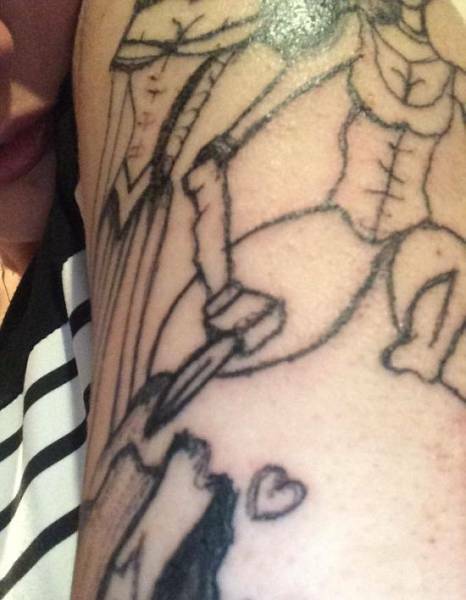 This woman wanted to have a fairytale tattoo with Cinderella and Snow White, but her tattoo artist decided differently. 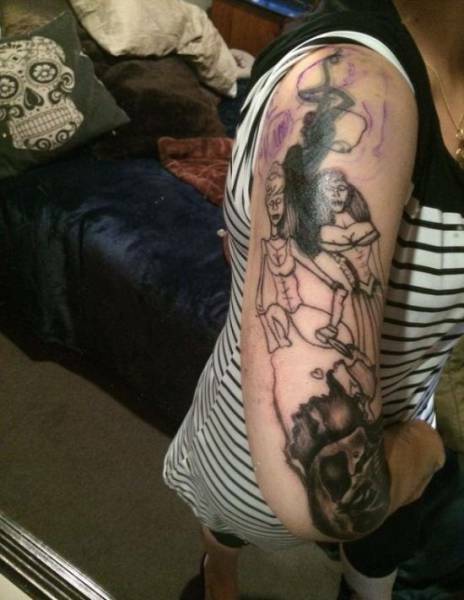 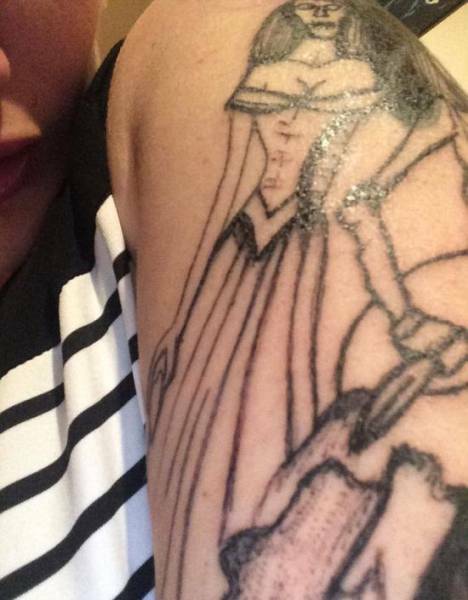 This is what this poor woman discovered on her arm. 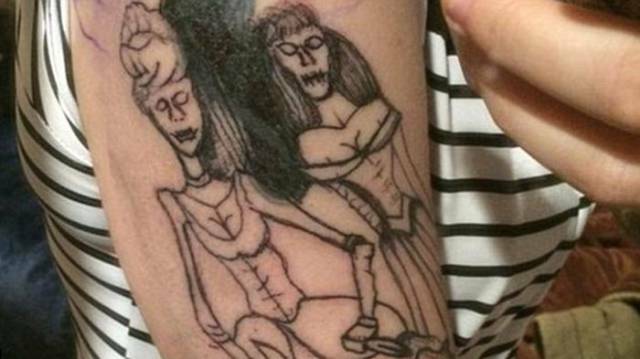 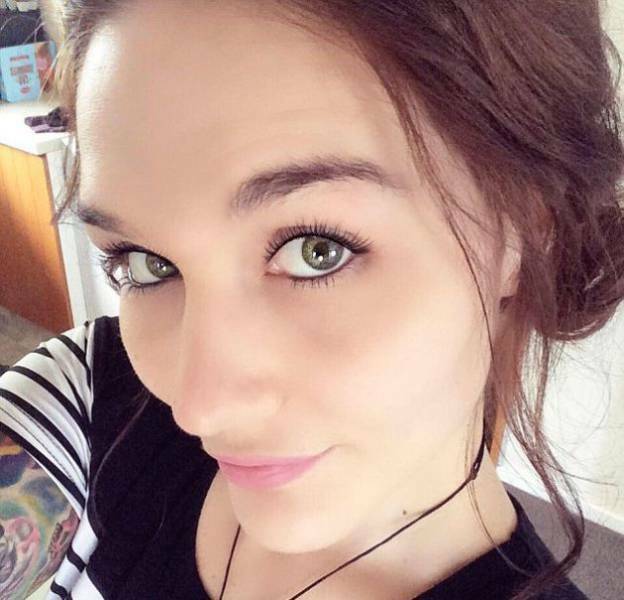 2 responses to "Woman Came To A Tattoo Artist For A Cool Tat, Ended Up With Something Terrible (5 pics) "